If it felt a little odd that a group containing a white American and a white Brit could make dancehall records when ‘Gunz Don’t Kill People – Lazers Do’ debuted in 2009, Major Lazer fixed the narrative through their subsequent releases, proving dancehall’s universal allure. Their last EP, ‘Know No Better‘, took a global direction, mixing Caribbean, pop and Afropop influences. But for ‘Afrobeats Mix’, just as the title suggest, the newest project from the trio is focusing on African dancehall. Though the mix only leaves room for brief barely-1-minute-long snippets of hit songs, 17 tracks adequately convey the sound of dancehall in Africa. DJ Maphorisa’s “Midnight Starring” and Davido’s “If” played on the same mix, means the gqom sound from South Africa, Afropop from Nigeria and the other African genres you can expect to hear on any radio station on the continent are represented. 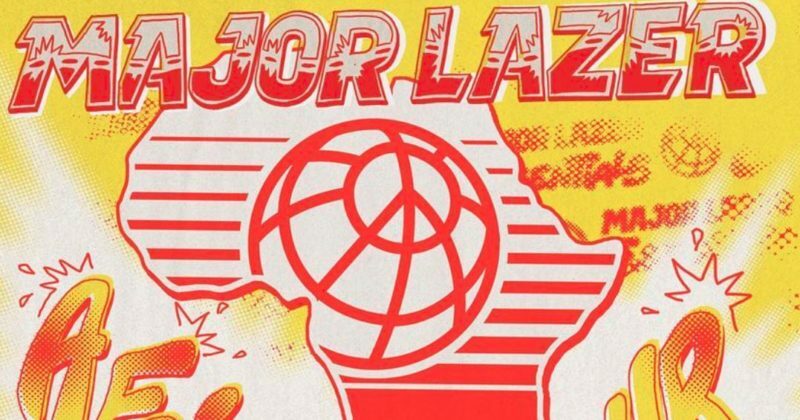 The new Major Lazer tracks teased on ‘Afrobeats Mix’ are expected to be released shortly, following the release of the video for Burna Boy’s feature, “All My Life”. Other artists that feature on the new Major Lazer tracks expected to be released in due time are Kizz Daniel, Kranium, Babes Wodumo, Taranchyla, Mr Eazi, Raye and Jake Gosling. You can stream Major Lazer’s ‘Afrobeats Mix’ below.